] all incorporated herein by this reference, contain the entire agreement and understanding between the parties as to the subject matter hereof. The invalidity or unenforceability of any provision of this Agreement shall not affect the other provisions hereof, and this Agreement shall be construed in all respects as if any such invalid or unenforceable provision were omitted. No right under this Agreement shall be waived (lost) merely by delaying or failing to exercise it. Consent to one act shall not be considered consent to any other or subsequent acts. Any waiver of a default under this Agreement must be in writing and shall not be a waiver of any other default concerning the same or any other provisions of this Agreement. During the course of your association with Country Fun Child Care you may see and hear things about other children or the childcare’s business. Such information is confidential, protected by privacy laws and must be treated as strictly confidential. If Country Fun Child Care provides care to Child pursuant to one or more government-funded public child care programs and the rates or fees for such care are set by the government, the effective date for the government rate or fee change shall be considered the effective date for Country Fun Child Care’s change in rates or fees and no prior notice of such change will be given to Legal Guardian. Country Fun Child Care admits children without regard to gender, race, ethnic origin or disability into it’s program while being responsive to individual learning needs and interests. All activities are made available to children at the child care with appropriate modifications as needed. Country Fun Child Care does not discriminate in the administration of its education or admissions policies. In the Mixed Ages Program offered at Country Fun Child Care, children are able to make friends across a variety of ages and interact with children at different developmental levels. Mixed Age programs provide a good variety of different contact patterns and group feelings. Not everyone needs to have a diaper changed at the same time or use the same toy. The stability of the group increases as children are together over multiple years. Continuity of care supports the development of trust and feelings of security for both children and families. Siblings are able to be together. 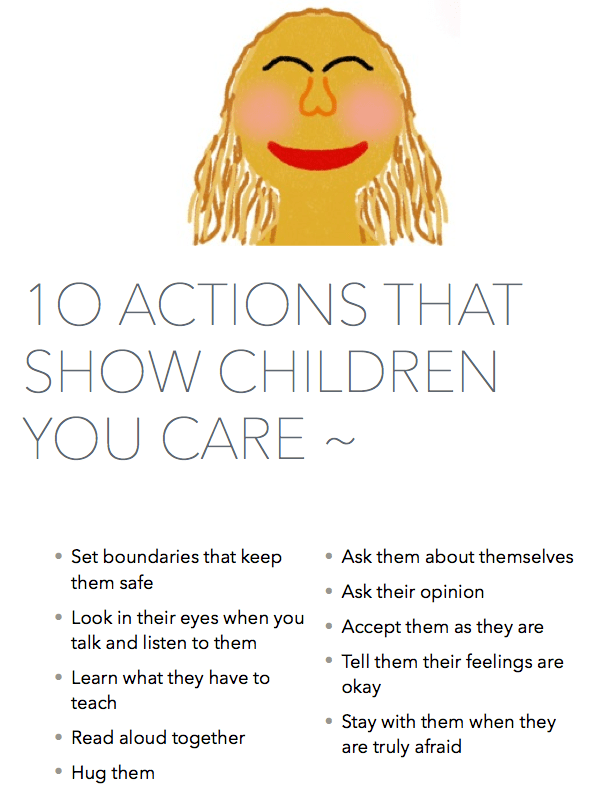 The older children provide good role models for social and language skills. Older children learn responsibility. Country Fun Child Care does not offer a structured curriculum. Learning here is play-based and as child-directed as possible. Projects done during our days are developed around the interests and skill levels of the children participating. Kindergarten Readiness and Educational Guidelines developed by the local school system and state covering infants through school age are used in the development of projects and lessons. Physical activity is an important part of our play. Weather permitting this active play will take place outside walking, running, climbing, biking, snowshoeing, etc. If weather does not allow for outside play in addition to playing on the indoor climbing gym children will have the opportunity to participate in yoga, dancing or other movement games. Although there is daily discussion between myself and guardians regarding each child’s experiences at home and during our day, I am always willing to set up a time for a more formal/private conversation to discuss any concerns. Daily written notices are not provided unless requested by the guardian. Guardians may provide a template of a form with the information they would like to have me provide them or I will use my form. All children are to be picked-up by 5:30 p.m., unless special arrangements have been made with the provider. Care is provided following local school calendars. Care is only available on days teachers are required to be present at school. Care will also be available for limited time before the school year starts and ends to support the need of teachers to open or close their classroom. Each day a child is picked-up at Country Fun Child Care later than the scheduled pick-up time as provided for in this Agreement, the Guardian may be assessed an overtime fee of $20.00 for the first 5 minutes, with an increase of $5 for each 5 minutes after the scheduled pick-up time. If a child is picked up late more than 3 times in a 2 week period, Country Fun Child Care may terminate the contract for care in accordance with the terms of this Agreement. The care fee/rate reserves your child’s slot for the week. You are purchasing a “slot” as opposed to paying for the hours of care actually received, so you have a guaranteed place for your child. As a business with set expenses, the child care is dependent upon a weekly anticipated income. Payment will be made, at minimum, on the first day of care each week. Payment forms accepted: cash, check or debit/credit card. Checks should be made payable directly to me. Late payment charge of $5 per day may be charged. Bounced checks will require immediate repayment in cash and an additional fee of $35 for service charges and inconvenience. Two bounced checks will be cause for all future payments in cash only. You will be provided with a receipt at the end of the calendar year to use for tax purposes. For families with child care/dependent accounts I am happy to complete whatever forms are required. 5 personal/health days – Notice will be provided as early as possible, but by 6 am on the day closing due to illness. Different rates for children not attending school, school age and a sibling discount are offered for full-time care slots. All fee adjustments are listed on your financial agreement. 30 hours/week or more will be charged at the full-time weekly rate. Part-time daily rates (20 – 29 hrs) are available as slots allow. Country Fun Child Care does not have non-school-age care slots for less than 20 hrs per week. If Country Fun Child Care has not received payment for the contracted weekly fee by the morning of the first day of care for the week, Country Fun Child Care may refuse to admit child(ren) for care each day until Guardians makes such Overdue Payment is paid in full. Recurring late payment may also result in immediate termination of contract. Country Fun Child Care reserves the right to discontinue care if it is in the best interest of the child and/or the facility upon reasonable notice to guardian(s). A two (2) week notice will be given by Country Fun Child Care if care services need to be stopped, except where immediate termination is outlined within this agreement. If served a notice for stoppage of care, the normal fee needs to be paid up front for care to be continued over the two week notice period. Without this payment care stops immediately. A two (2) week notice is required from guardian(s) if care needs change. Payment is to be made in full in advance of the two weeks of care being provided. Payment is required for these two weeks, even if services are not provided, unless mutually agreed to by Country Fun Child Care and guardian(s). The fee charges agreed to in this contract cover payment for the holidays listed on the Vacation Dates posting. Specific dates are also posted on parent board each month. Five (5) paid personal days and health days are also figured in as part of my vacation/holiday benefit. Notice for personal days will be provided verbally and in writing at least two (2) weeks prior to each specific date. For a sick day, notification will be provided as early as possible. Personal and sick days are considered paid, in that the normal fee will not change for full-time clients. For part-time clients there will also be no fee change if they switch days of care for that week. If due to staff/child ratios a switch is not possible, fee will be adjusted. If unexpectedly, I needed any additional time, all fees would be adjusted accordingly for the affected week. If you take vacation during normal care weeks the normal fee is still due me. Remember the fee covers the slot and I am open and available for care. Payment for your vacation weeks is due before you go on vacation. Checks may be post dated, corresponding to when payment is due, to help with your budgeting. If payment is not remitted on time, Country Fun has the option to deny care until payment is received in accordance with the terms of this Agreement. Back-up care for my personal health days or any emergency that may arise is up to each child’s guardian(s) to make arrangements for. Any day that teacher’s are not required to be at work, no care will be available. This is all figured into the set rate. Snow days beyond those scheduled into the school calendar will be covered through extended care at no fee. There will also be posted additional coverage for limited time both before a new school year starts and following end of school. The time will be paid for at a daily rate as arranged for by each individual family. With work and family schedules, volunteering is not expected or necessary. At the same time, guardians are welcome to visit at any time. If they have a special interest and would like to share that with the group, special time can be arranged for that to occur. Guardians may also send special healthy celebration treats from home to share among the group in celebration of special days, with prior discussion with Country Fun Child Care. Please remember no candy or sugary drinks are allowed and all food allergies will need to be considered.